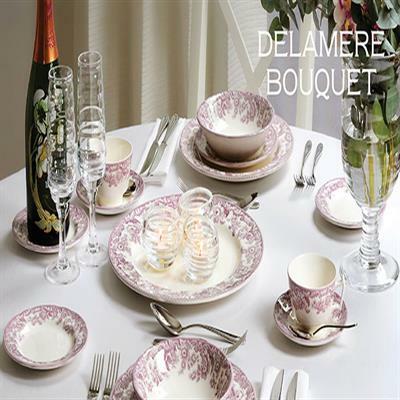 Introduced in 2014, Delamere Bouquet is an elegant collection based on Spode’s popular Delamere and Woodland patterns. .Using the refined Camilla shape, the design features an intertwining border of flowers and scrolls known as “British Flowers” that dates back to 1831. With a charming cranberry palette and traditional elements, it is the enticing result of updated styling meets classic design.